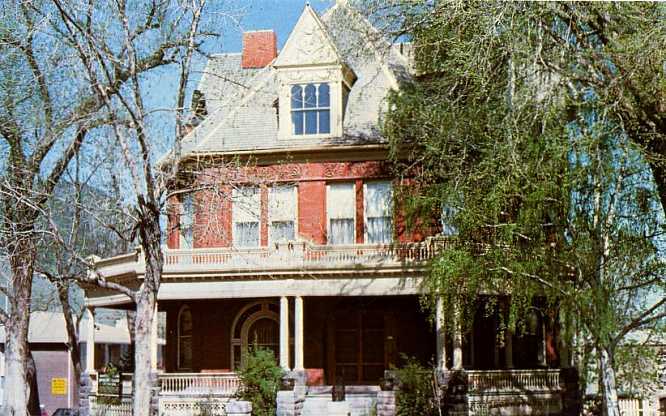 The "new" Montana Governors' Mansion, near the Capitol at 2 N. Carson Street. 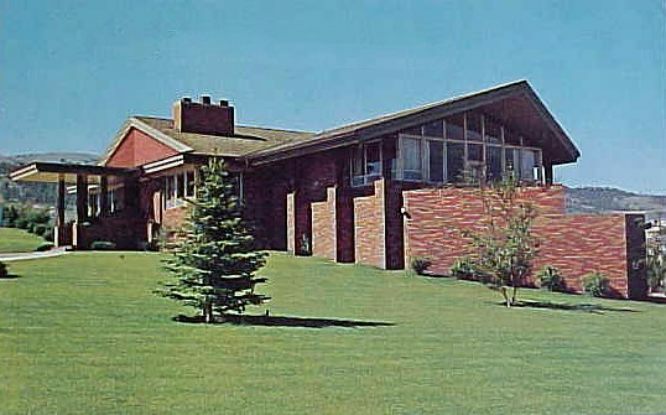 It was built in 1959 for $347,000 (about $2,300,000 in today's dollars), and furnished and decorated by Shirley Kemp Gannon for $58,000 (about $390,000 today). 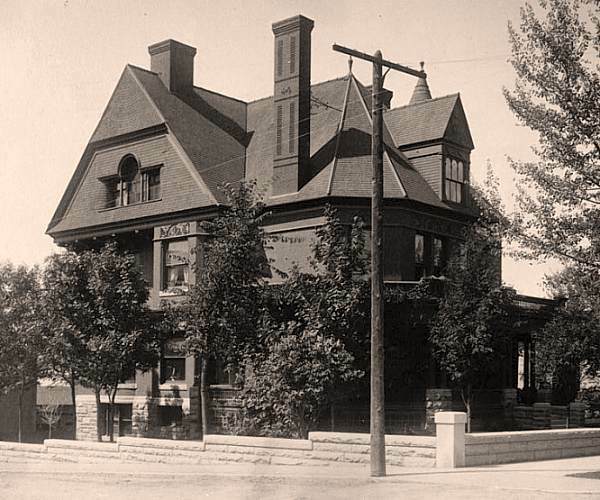 The house was designed by architect Chandler C. Cohagen of Billings. The front door faces east but the house is oriented to the north, with floor-to-ceiling windows looking over the Helena Valley. The house was built by Mel Buck Construction on land donated by C.F. Mueller of Helena, who lived in the neighborhood. There were problems during construction; at one point, delays, cost overruns and the use of low-grade materials had a Montana House of Representatives committee threaten to turn the building into the headquarters for the highway patrol. Click here for a 2005 Independent Record story about the Mansion. Pre-1935 view of the original Governors' Mansion, 304 N. Ewing, taken from Sixth. Built as a private home by Helena industrialist William A. Chessman in 1885, it was purchased by the State in 1913 for use as the executive residence. It has been restored, and is open for public tours. Recent photo of the original Governor's Mansion, taken from Ewing St.